In the summer of 2011, Swedish marine explorers looking for various goods from shipwrecks, which sank in the Baltic Sea a long time ago, came across a peculiar discovery. The Swedish treasure hunters’ sonar revealed an extraordinary image: a formation of objects at the bottom of the sea that bears an uncanny resemblance to Star Wars’ fabled Millennium Falcon. One year later, Swedish divers set on an expedition and took a closer look at the vestige site. In the depths, the explorers found that the site shaped like an almost perfect 60 meters in diameter circle, which mainstream press outlets were quick to stamp it as a UFO landing site, is actually a circular rock formation. 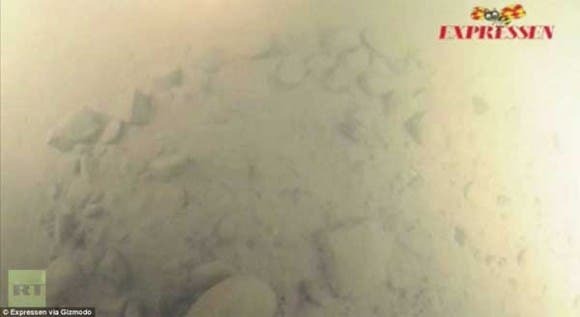 It was “like small fireplaces” with stones covered in “something resembling soot”, according to the team of underwater researchers who dubbed themselves Ocean X Team. Scientists are still examining the footage from the expedition, but the whole site appears to be a giant stone, “the kind divers see in keys and harbors” — a peculiar formation, granted, but… just a stone. Well, I guess Han Solo didn’t park his ship there after all. While the whole deal, which was deviously portrayed from the get go by the media, has been freed of its extraterrestrial aura, this expedition raises some intruiguing questions. 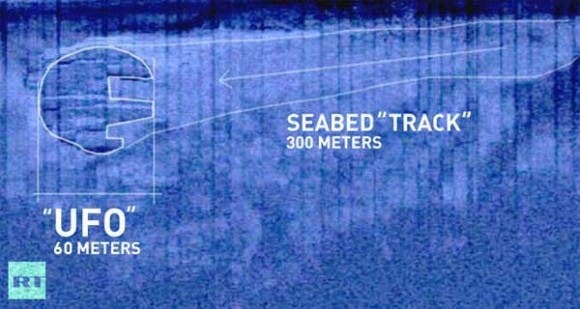 Many samples have been passed on to scientists, and more detailed footage of the site has been promised by the diving expedition. If anything, though, this discovery perfectly illustrates man’s power of fitting patterns together, something that has allowed for one of the world’s greatest scientific discoveries to be made, but which also plunged man in making demented claims. There’s a thin line between reason and imagination.